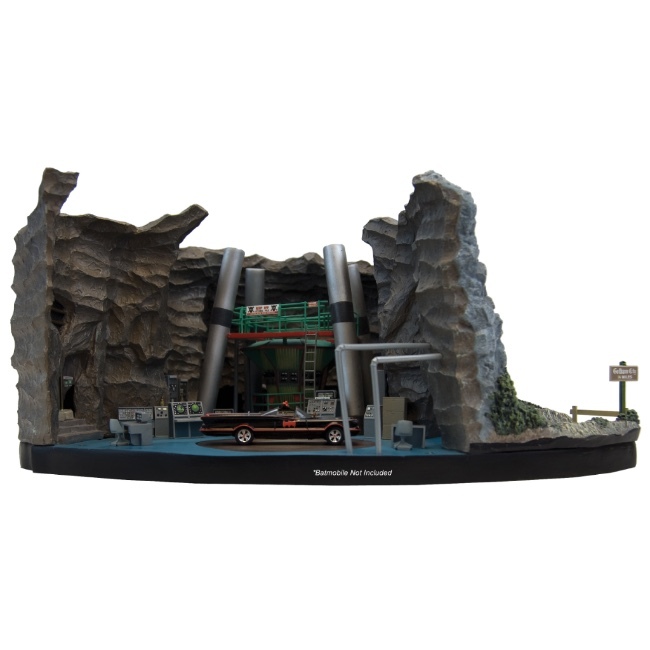 Something to Muse About: Factory Entertainment's Batcave Pre-Order & San Diego Comic-Con Exclusive #5 Revealed! 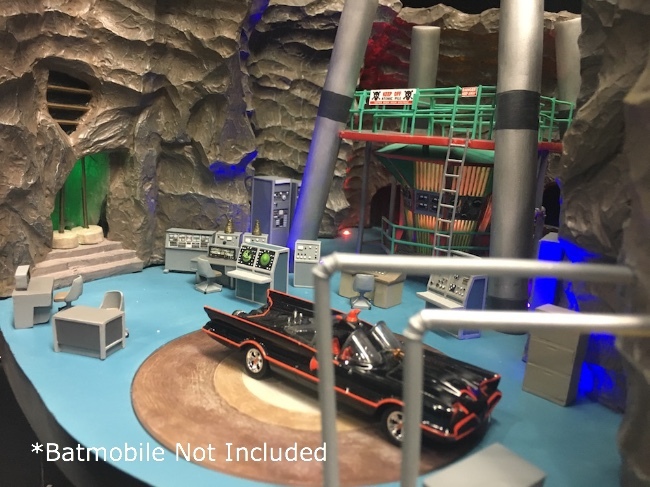 Factory Entertainment's Batcave Pre-Order & San Diego Comic-Con Exclusive #5 Revealed! 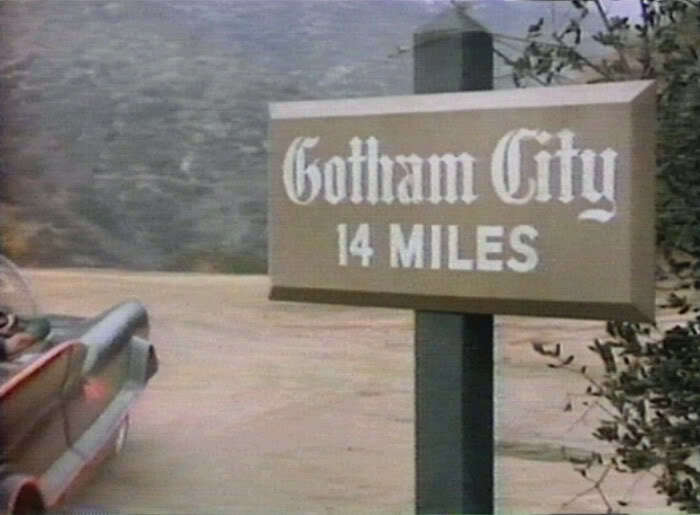 TO THE BATCAVE! Those three words evoke one of the most memorable interior locations in pop culture. 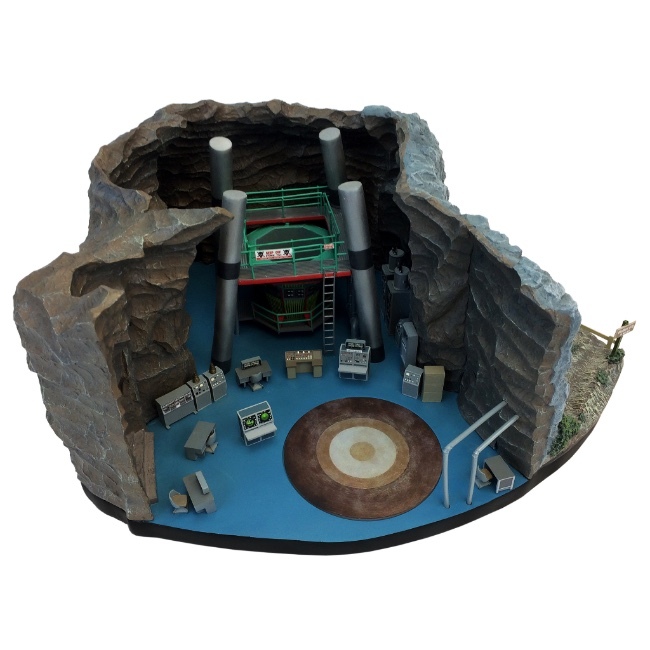 Batman’s sanctuary, his base of operations, the nerve center of his activities - a mysterious subterranean lair that is equal-parts forbidding and exciting. 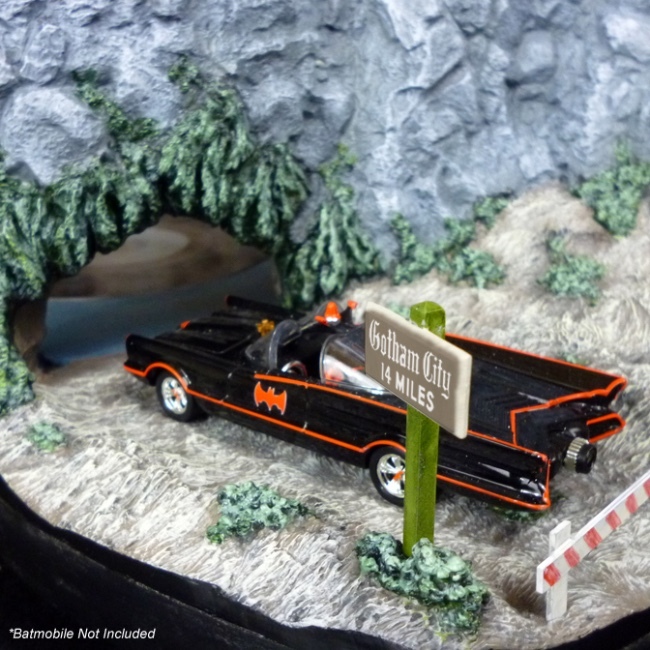 Now, at long last, we are proud to offer our fellow Bat-fans the opportunity to own a scaled version of our favorite location! A faux rock door panel in the entrance tunnel that can be removed to allow access entry by the Batmobile. (Batmobile model not included). 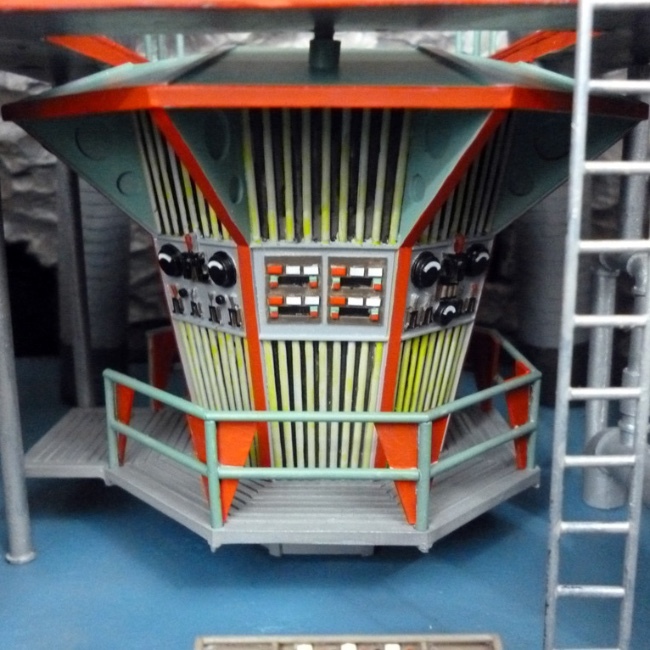 At 18" x 14" x 9" and weighing over 20 pounds, we're sure this collectible will make a statement! 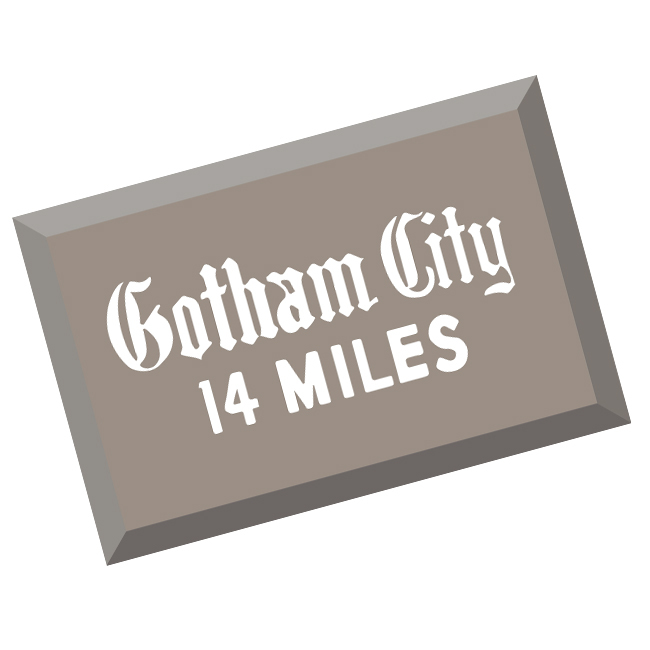 Nothing would look more fitting in your Batcave (or 'Mancave') than our latest San Diego Comic-Con Exclusive, the Gotham City 14 Miles Metal Sign! This 14" x 9.5" collectible metal sign comes straight from the Classic TV Series and is now ready to be displayed wherever you see fit! 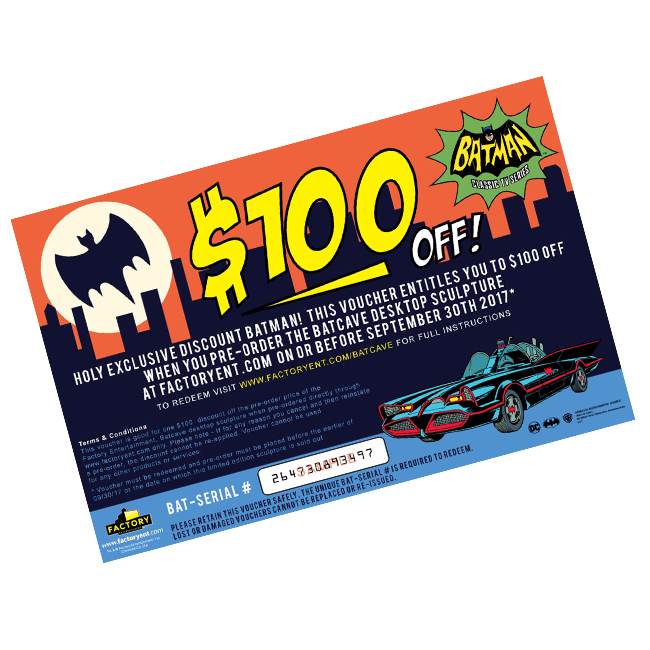 Best of all, included with every purchase of this exclusive is a $100 discount code for our Batcave Desktop Sculpture, good through September 30, 2017, while supplies last! 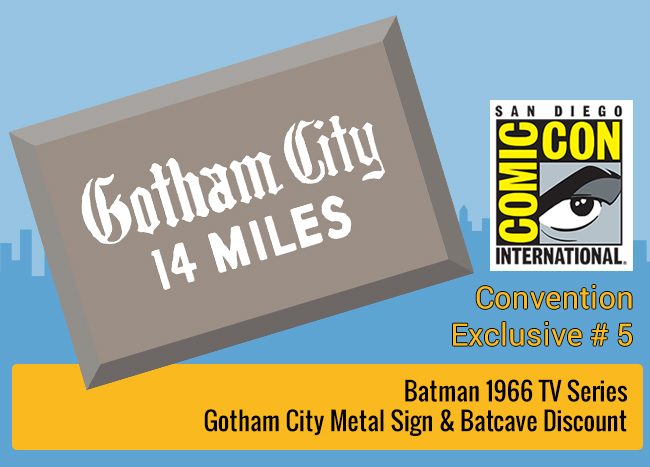 The Gotham City Metal Sign is available to pre-order now at http://www.factoryent.com or at San Diego Comic-Con, Booth # 2647 July 19 – 23, 2017. While supplies last. 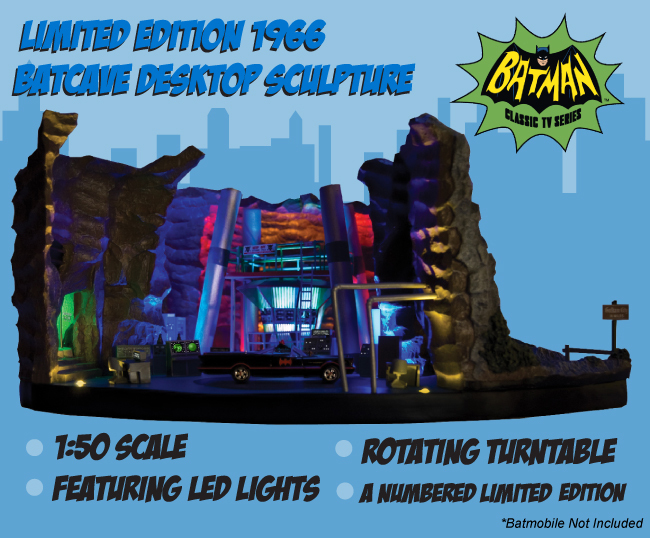 The Batman 1966 TV Series Batcave Desktop Sculpture is available to pre-order now at http://www.factoryent.com. Shipping announcements will be sent to all buyers after the pre-order window closes.